Is it six months too late? Where have you been? You've missed, well, everything! The LG Optimus G will be launched in 50 more countries by the end of the month, but it's all rather late. Initially launched way back in August 2012 the Optimus G found its way into Korea, Japan, the US and Canada, but the rest of the world had seemingly been ignored. Until now that is, with LG thinking that six months after launch would be the ideal time to bring the handset to a bunch of new markets – we're not so sure. LG has confirmed to TechRadar that the Optimus G will be coming to the UK, with a spokesperson saying: "The UK is included in Optimus G launching countries list." We're pretty sure the Optimus G which arrives on UK shores won't sport the TV antenna hidden away in the Korean version of the handset we got hands on with last September, but you can expect a 4.7-inch HD IPS display, Android Jelly Bean, 4G LTE, NFC technology and a quad-core processor to be present. Other specs are up in the air with the Korean version of the handset sporting a 13MP camera, while some US variants make do with an 8MP snapper. While the specs aren't too shabby it remains to be seen if LG's timing will hinder the handset with the Samsung Galaxy S3, iPhone 5, HTC One X+, Nokia Lumia 920 and more recently the Sony Xperia Z all offering stiff competition. Plus with the LG Optimus G Pro and Optimus G2 both rumoured for a potential MWC 2013 unveiling at the end of February, this announcement seems all the more bizarre. 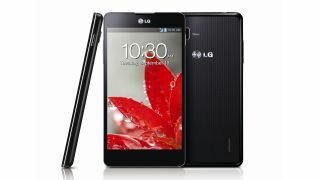 There's currently no word on the LG Optimus G price or exact release date, but we'd expect the UK's only 4G network EE to carry the handset when it's available.